Be mindful of the individual perspectives of other family members and friends who are involved in the healing process. Accept them and be tolerant of the differences in how people respond to change. Take care of yourself so you have the required energy to care for your loved one: get plenty of rest and exercise. These two simple efforts will give you the energy you need to care for others. Take comfort from knowing your help and concern make another person’s life and situation easier and more comfortable. Seek out local resources to help you and answer any questions you may have. Reach out to social workers, clergy, support organizations, local physicians, psychologists and the area hospital for guidance. Share favorite music with your loved one during visits. Be assertive and ask for help from others when needed. Keep a list of medications and daily routines ready for reference. Understand what Medicare has to offer for individuals in similar situations; visit their website for detailed information on understanding long term care and choosing a facility. 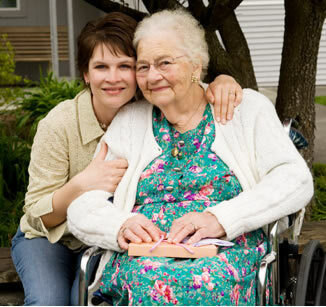 Research and understand insurance and legal requirements related to your loved one’s care and situation. Greater knowledge brings peace of mind to everyone involved. There are many informational resources on the internet related to care giving, health care for seniors and choosing a senior care, geriatric or convalescent facility should the need arise. The following internet links are provided to help you with the process of caring for your loved one following a short term rehabilitation program or for longer term care and decisions related to it.